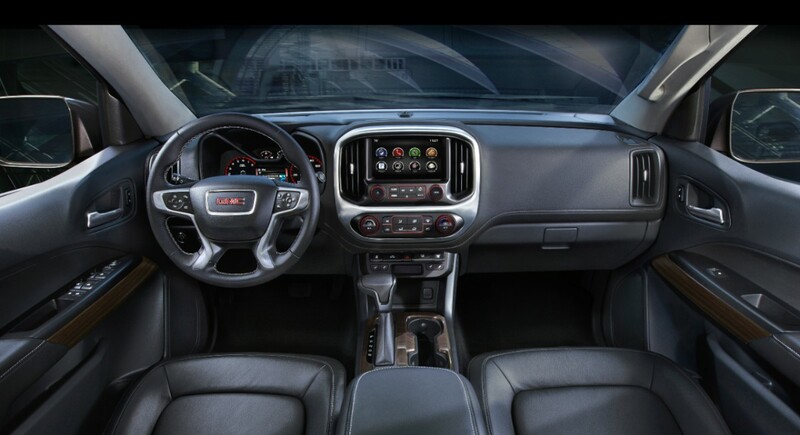 GMC yesterday released its 2015 GMC Canyon pricing structure. The mid-size pickup will begin at $21,880, which includes the $925 dealer freight charge. All Canyon models come with Pro Grade Protection, meaning that they get two years or 24,000 miles (whichever comes first) of scheduled maintenance, in addition to the five-year/100,000-mile powertrain warranty and three-year/36,000-mile bumper-to-bumper warranty. Standard on the 2015 Canyon is a 2.5-liter I-4 Direct Injected engine, which lays down 200 horsepower. Also included on the Canyon, which sits on 16-inch aluminum wheels, are signature LED lighting, the CornerStep rear bumper, and a four-way power driver’s seat. Available features include a Bose premium seven-speaker audio system, the GearOn™ accessory system, and a 3.6-liter V6 that features direct injection and variable valve timing. The V6 is mated to a six-speed automatic transmission. 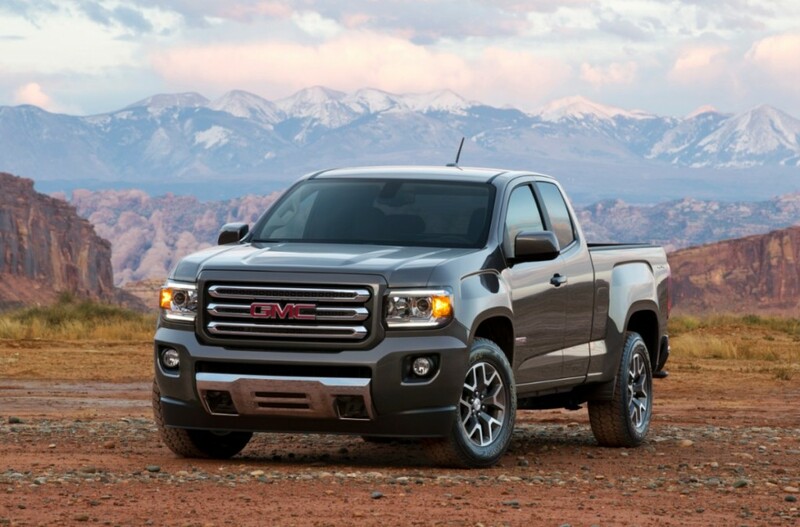 The 2015 GMC Canyon pricing continues with the SLE trim level, starting at $27,520 for the two-wheel-drive extended-cab pickup. Features include aluminum interior trim, an 8-inch diagonal color-touch radio with Intellilink, EZ-lift and lower tailgate, OnStar 4G LTE with Wi-Fi and a three-month/three-GM trial, and soft-touch instrument panel and door pads. The four-wheel-drive Canyon SLT crew-cab short box pickup is offered at an MSRP of $37,875. 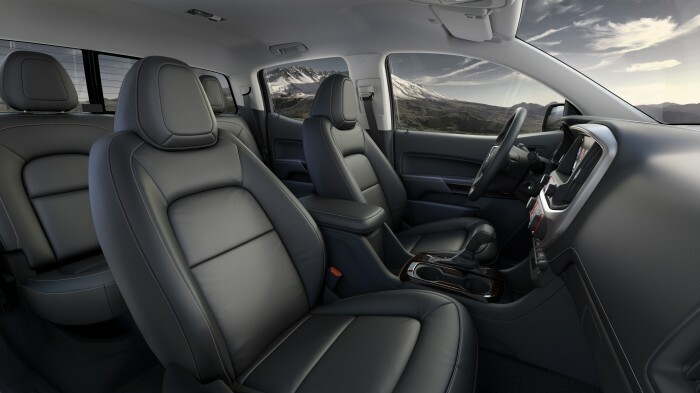 The SLT comes with the 3.6-liter V6, rated at 305 horsepower, as well as automatic climate control, automatic locking rear differential, leather-appointed seating, remote start, and 18-inch polished cast-aluminum wheels. Customers can choose from extended-cab models with a 6-foot, 2-inch box, or crew cab models, either with a 6-foot, 2-inch box or 5-foot, 2 inch box.